What would you do if your sister disappeared without a trace? 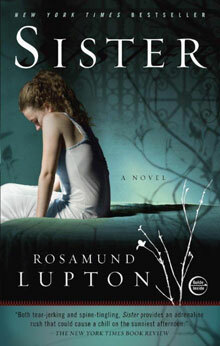 Sister is the Sunday Times and New York Times bestselling debut novel by Rosamund Lupton. It has been translated into over thirty languages and was the fastest-selling debut of 2010 by a British author, a BBC Radio 4 Book at Bedtime and was winner of the Richard and Judy Best Debut Novel of 2011 Award and the Strand Magazine Critics First Novel Award. When Beatrice gets a frantic call in the middle of Sunday lunch to say that her younger sister, Tess, is missing, she boards the first flight home to London. But as she learns about the circumstances surrounding her sister’s disappearance, she is stunned to discover how little she actually knows of her sister’s life – and unprepared for the terrifying truths she must now face. The police, Beatrice’s fiance and even their mother accept they have lost Tess but Beatrice refuses to give up on her. So she embarks on a dangerous journey to discover the truth, no matter the cost. © Little Brown 2014-2019 All rights reserved.